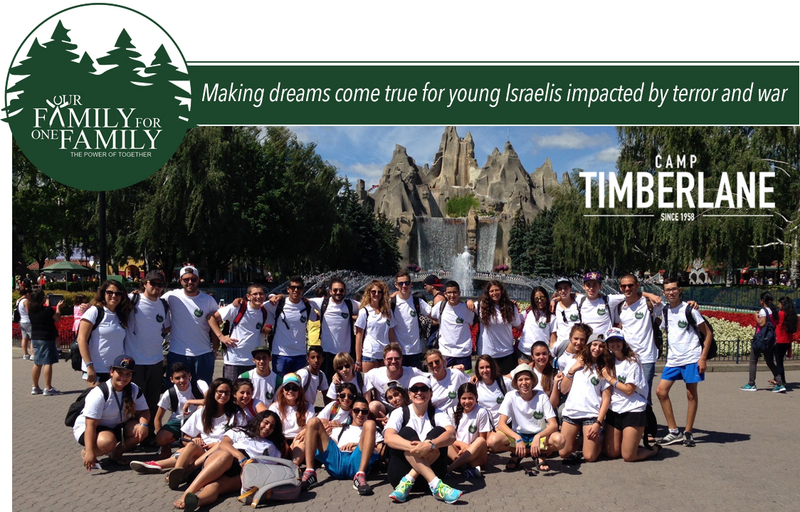 Since 2005, OneFamily Canada has been running a wonderful summer camp program for Israeli youth who have been directly affected by terror and war. 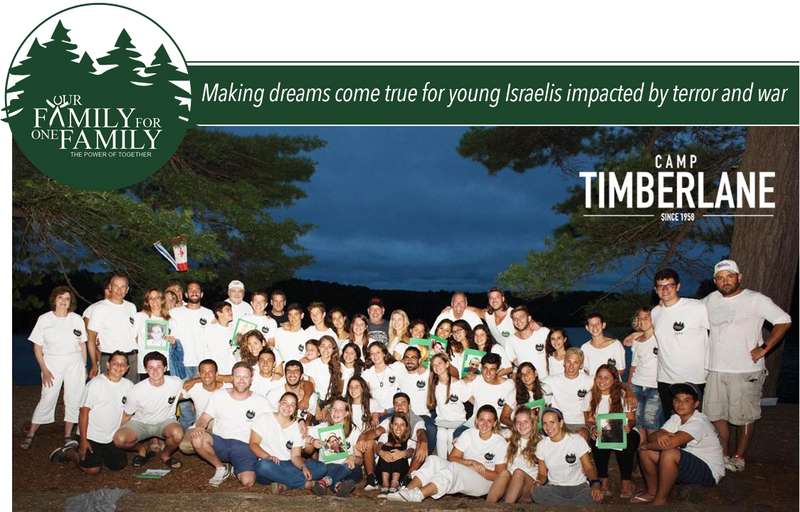 Hundreds of young Israelis have participated in this life-changing program, which runs for three weeks at Camp Timberlane in Haliburton, Ontario. Each summer the Timberlane leadership, staff, campers and community open up their hearts to help bring joy and healing to these special young people, giving them a break from the pain and grief that they have suffered back home. 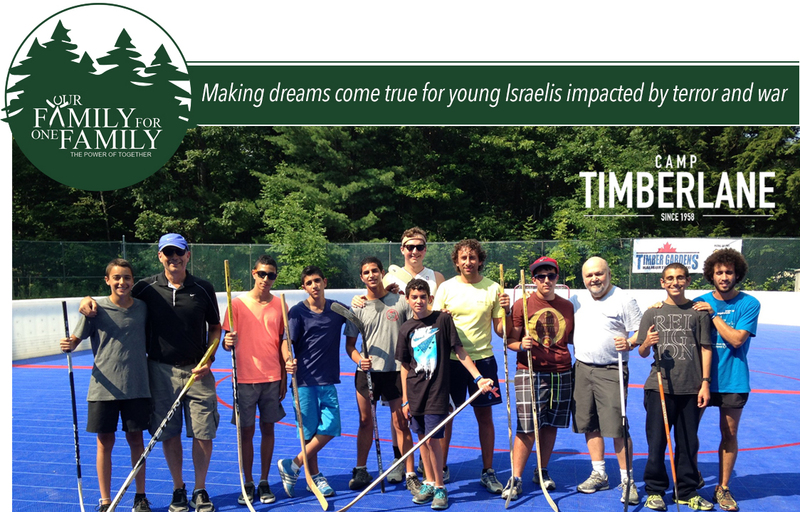 They experience the beauty of a real Canadian summer and share in Timberlane’s spirit, sports, activities and culture. 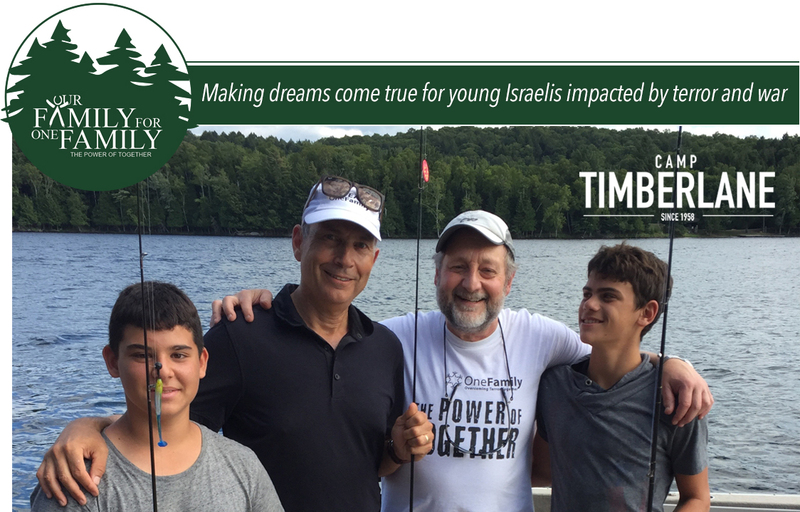 The relationships formed run deep and the Israeli campers have become an important part of the fabric of the Timberlane family. 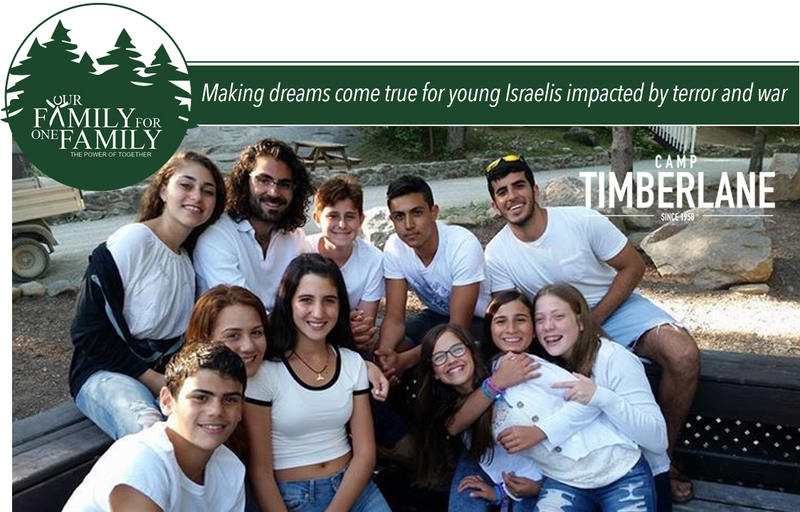 The impact has been transformative for both the Israeli youth and the Timberlane community, as they build bridges between countries and forge lifetime friendships. Only through your generosity can we continue to run our Camp Timberlane program and offer youth who have lost a parent or a sibling to terrorism, or been injured themselves, three weeks of respite, fun and inclusion.